29mm Motor Retainer. For airframes 3" and up. 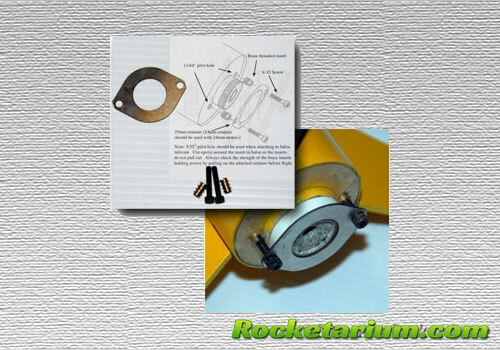 Both the 3829mm and 38mm motor retainers have the same mounting hole arrangement which allows both retainers to be used interchangeably on the same rocket - i.e. use the 38mm retainer when using 38mm motors, use a 29/38 motor adapter and this retainer when using 29mm motors. Threaded inserts allow retainer to be added after model is built.